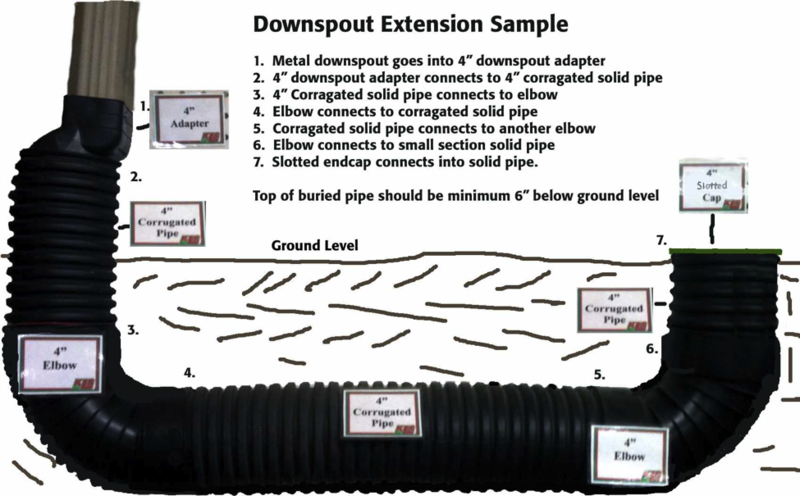 The most common homeowner application is to use corrugated pipe and fittings to neatly extend a roof downspout. 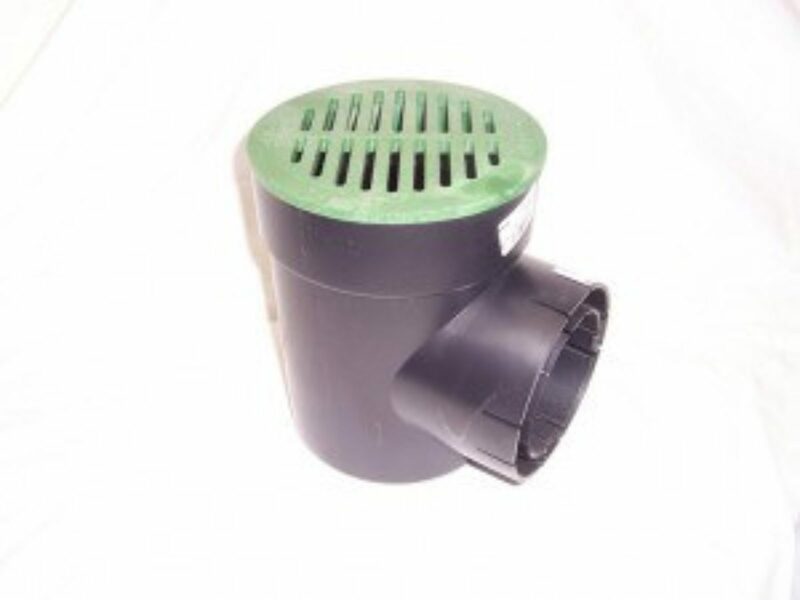 An adapter is installed on the end of the metal downspout pipe then connected to solid corrugated pipe which is buried underground. The pipe is run ten or more feet underground then comes back up to the surface to release the water well away from the house. Normally 4” diameter pipe is used on residential jobs. 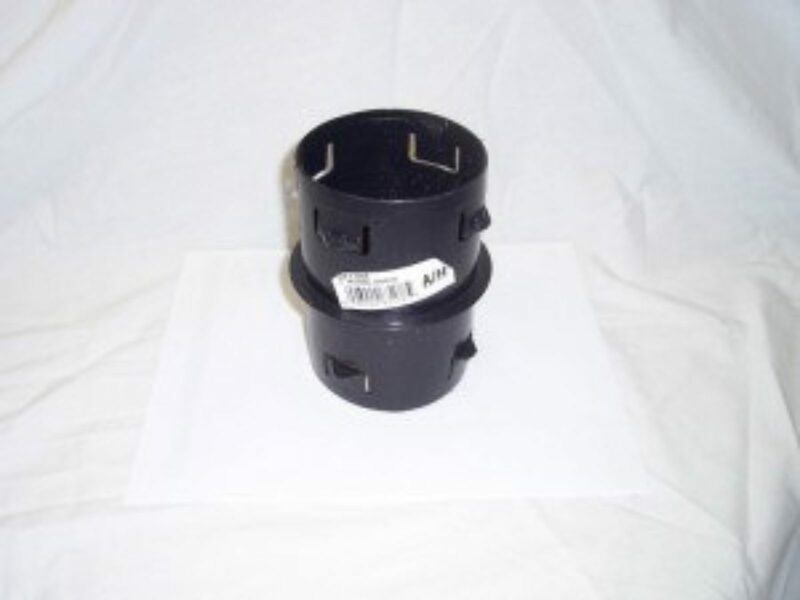 We do not carry 3” pipe and fittings. The 3” pipe carries substantially less water as compared to the 4” pipe and does not offer much cost advantage. First install a downspout adapter which fits over an existing rectangular downspout pipe and converts it to a 4” corrugated male fitting. The adapter is installed at the end of the metal pipe as close to the ground as possible. A small piece of corrugated pipe is used to extend the pipe below the ground surface. An elbow is then attached to the pipe section and another drainpipe section would be cut to length to get the water out away from the house. 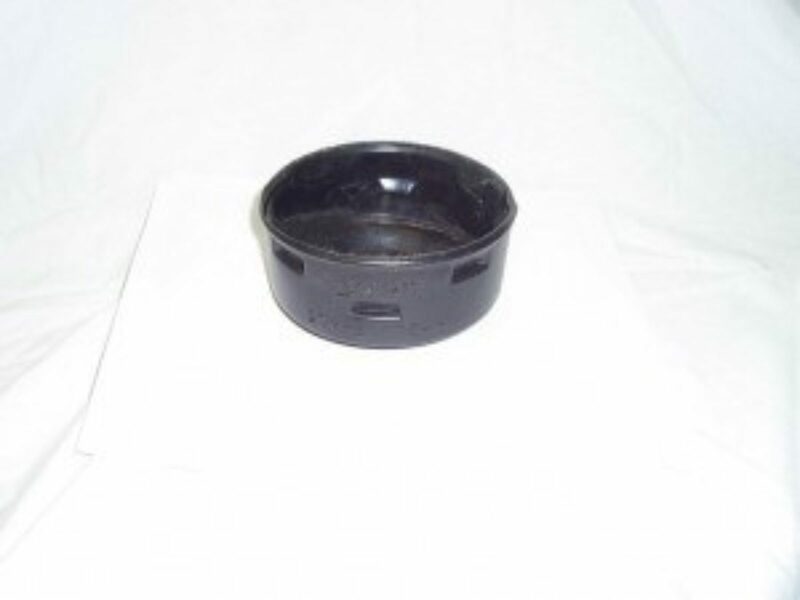 Finally either a basin is used or another elbow with a slotted end cap is used to release the water at ground level. 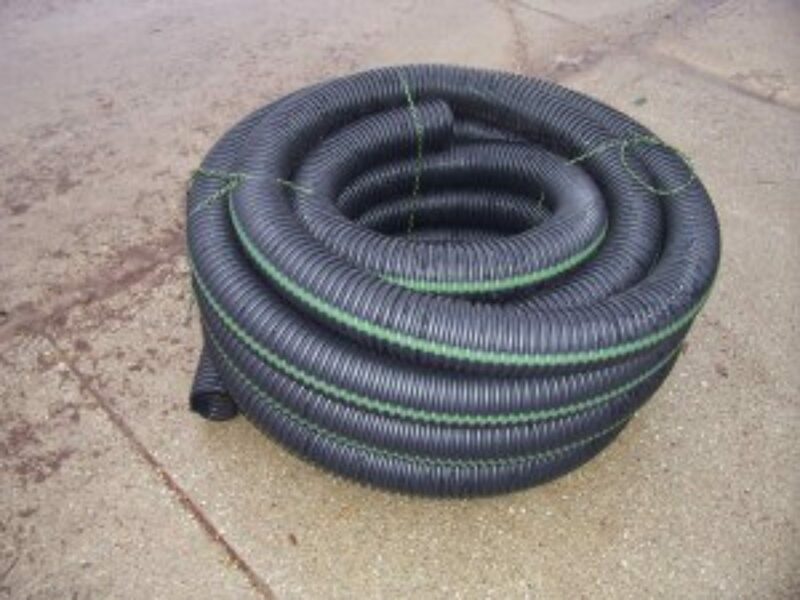 The corrugated pipe comes in 100-foot rolls or it can be cut to length as needed. There are 3 types to choose from. This pipe is most commonly used to route water to a new place. This corrugated pipe has narrow slots in it to allow water to seep in or seep out as needed. It is typically buried surrounded by stone and used to disperse extra water. It is also used to collect undesirable water in saturated areas and route it to another lower area. 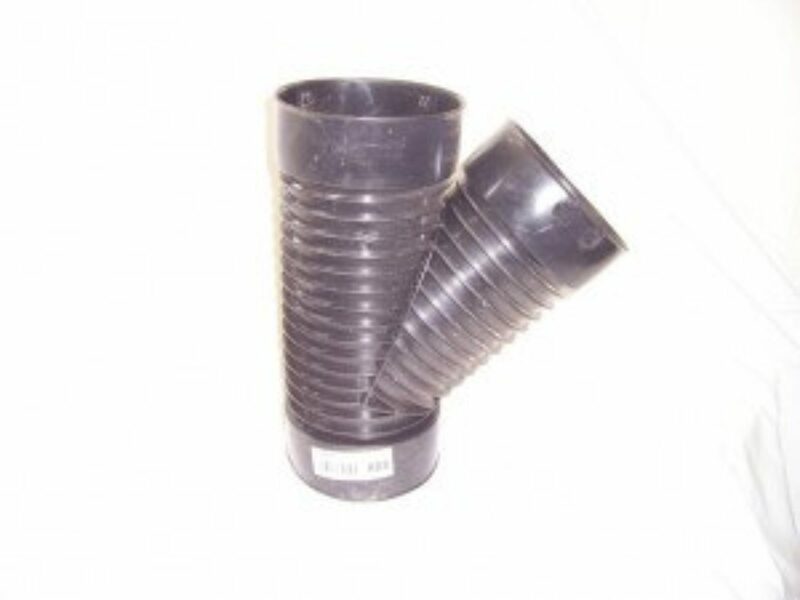 This corrugated pipe uses the same pipe as the slotted but also includes a fiber filter sock around the pipe. 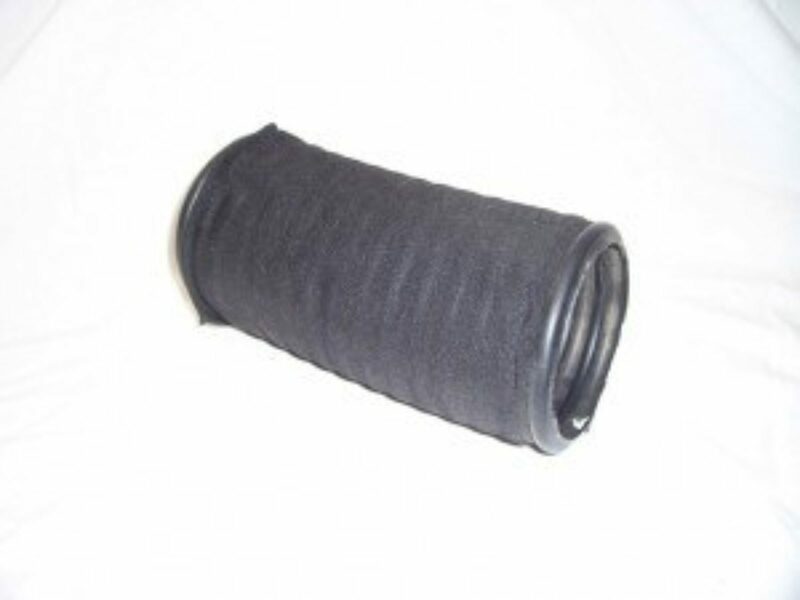 The use of the slotted pipe with the filter or sock is a good way to keep the pipe from getting clogged over time. Internal couplings are used to join pipe. Connects downspout pipe and 4” corrugated pipe. They come in 2 sizes. 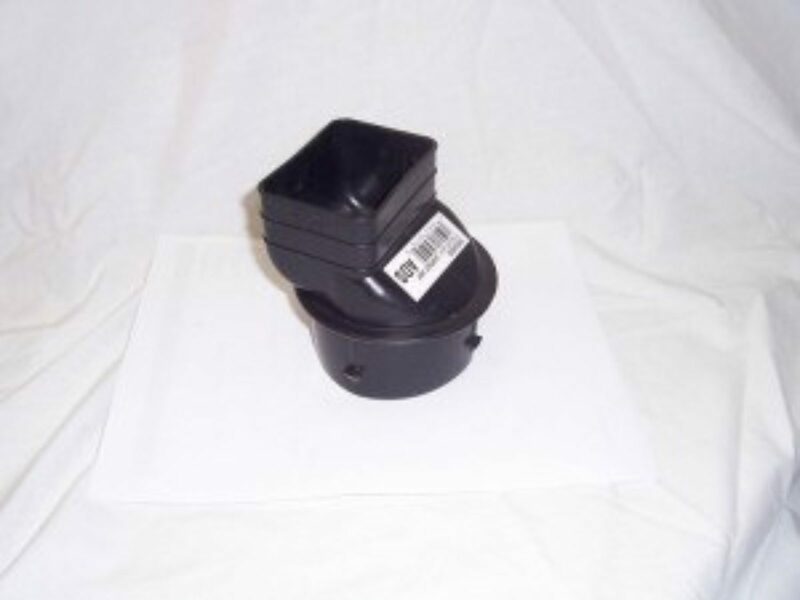 Downspout adapters have an end that fits over an existing rectangular downspout pipe and converts it to a 4” corrugated male fitting. Makes a 90-degree turn. It uses 2 female ends. 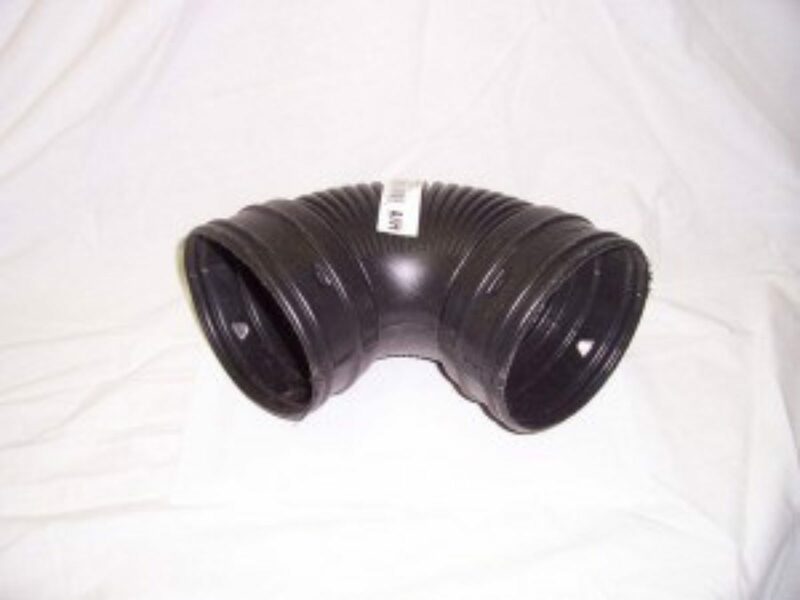 Tees are used in a complete system where 2 drainpipes are joined into one. A wye supplies the same function as a tee except it allows the two incoming pipes to be joined together at 45 degrees. 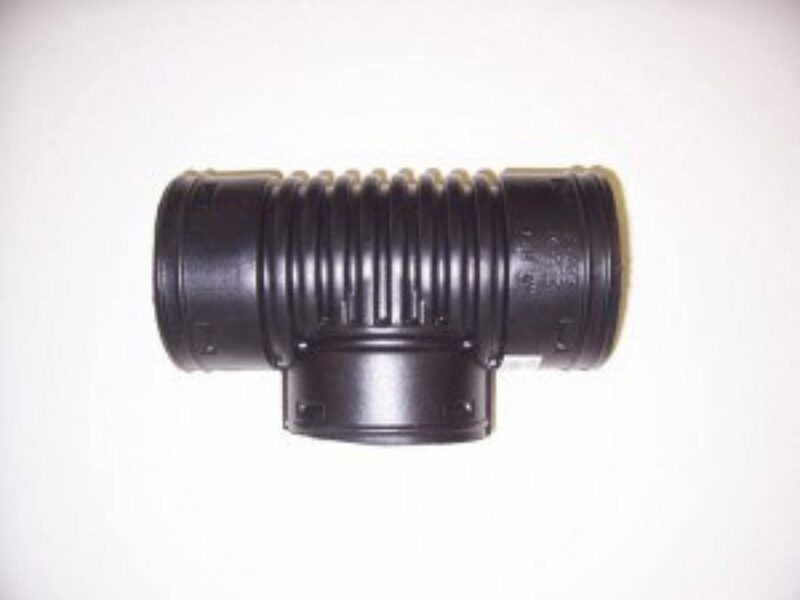 Solid end caps can be used to keep debris out of an open end of corrugated pipe in a drainage system. 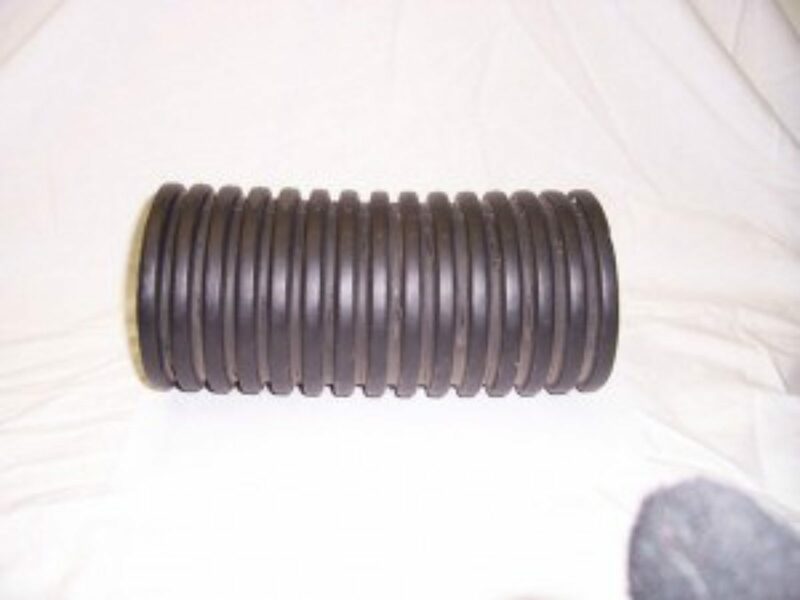 These would most often be used in a drainage field application on slotted or slotted pipe with sock. 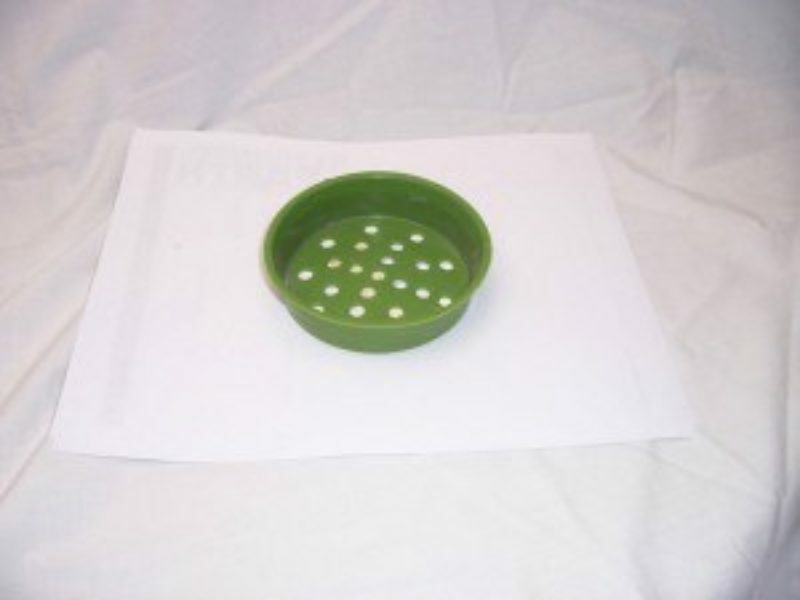 Drain basins are used as a collection or distribution basins on a drainage system. 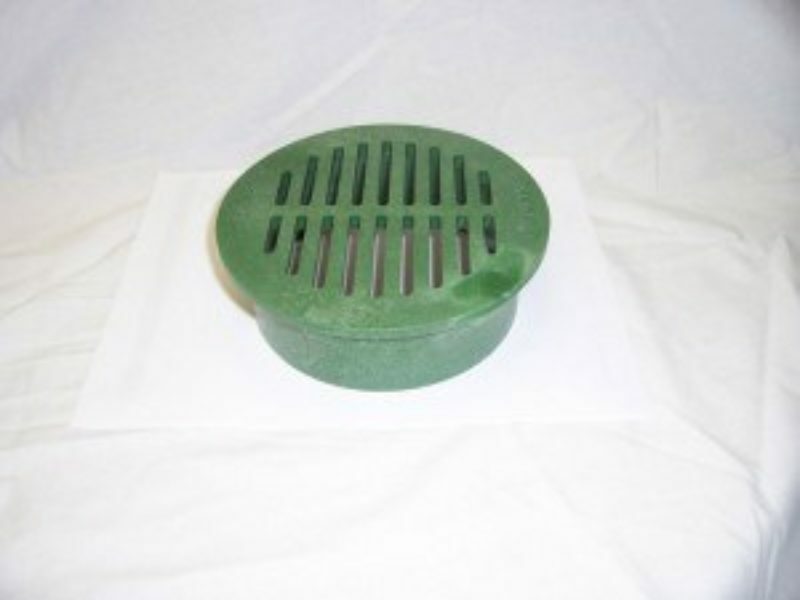 The basin can be used instead of 4” slotted end caps or end grates. KLS offers a relatively small single and double outlet basin. A 6” grate goes on the top of the basin and the 4” corrugated pipe plugs in to the side outlets. The basin comes in both single and double outlet configurations. Perforated end caps, grates or basins should be used to close any above surface open end of corrugated pipe. These caps or grates keep debris and wild animals from clogging the pipe.